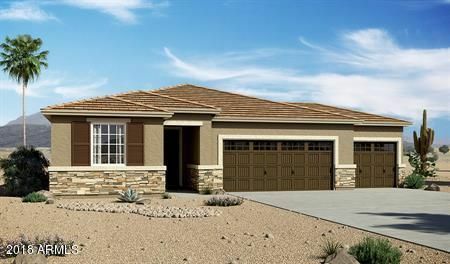 All DESERT OASIS PARCEL 13A homes currently listed for sale in Surprise as of 04/23/2019 are shown below. You can change the search criteria at any time by pressing the 'Change Search' button below. "Discover Desert Oasis in Surprise, Arizona. This exceptional new home community offers a variety of inspired ranch and two-story floor plans with hundreds of exciting options,including RV garages. Residents will appreciate an onsite K-8 school and community parks, trails and open space as well as easy access to shopping, dining and entertainment. A beautiful ranch-style floor plan, the Augusta boasts a master suite with a spacious walk-in closet and master bath, as well as two additional bedroom"